Seems like we are literally surrounded by cats-related games! 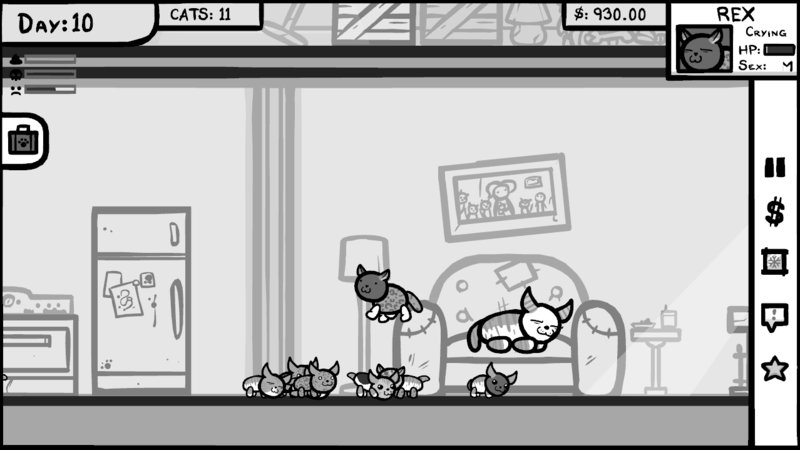 After our last week’s little post about Jones On Fire (expect a sort-of-review when the game will be out next week) we are here again talking about kitties! This time with Edmund McMillen from Team Meat, one of the two guys behind Super Meat Boy, and a new project for PC, iOS and Android: Mew-Genics! “For the past 17 weeks we have teased many aspects of Mew-Genics, but none were totally clear on what the game actually was and how it played. Part of this was due to the fact that we have basically been working on the game as long as we had been teasing it, so we ourselves were a bit in the dark on the details, but the main reason was because Mew-Genics is a hard game to explain. 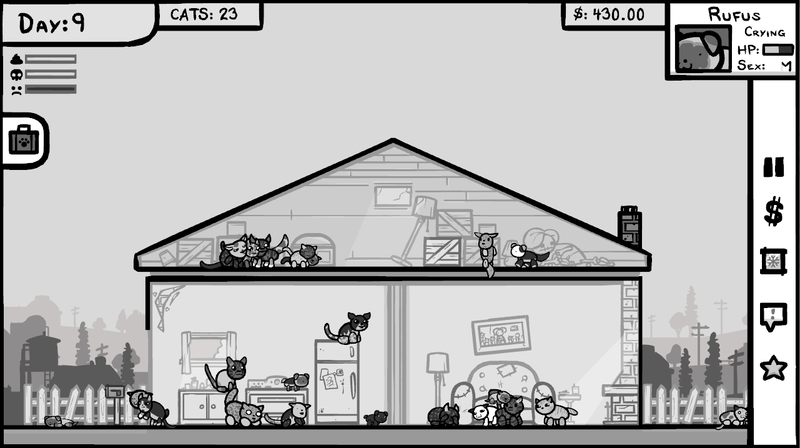 I think most would describe Mew-Genics as a cross between The Sims and Pokemon with a sprinkling of Animal Crossing and a dash of Tamagotchi , but at its core the game really isn’t like anything we’ve seen before. “Last week I was playing a game with Puddle, a fat female cat I had been working on earlier that day, I thawed her out of her Cryo-cube and placed her in my current single story house along with her newly generated companion Champ. I had been focusing my time on Puddle due to the fact that she seemed to have a very unique tail that I believe had helped her place 2nd in a cat pageant in a previous and I needed to breed her so I could continue her bloodline before she got too old. Sadly Champ wasn’t up to snuff and Puddle made this obvious by repeatedly kicking him in the face, I separated them quickly by putting champ in the attic but when I tried to feed him.. something odd happened. See, Champ was a dullard and when Puddle kicked him he just happened to also be eating and now associated the trauma with food instead of Puddle herself, he was scared of all food.. and sadly died in the attic shortly after. Goon acted aggressively towards the kittens so I let him back out into the yard and he eventually ran away. As the kittens grew up I did enter the small one (his name was Dot) into a pageant but sadly he just fell asleep on the stage and didn’t win anything. To add insult to injury Puddle also acquired feline aids from Goon and I couldn’t afford any of the expensive treatments Dr. Beanies was offering so I put her back in the Cryo-cube in hopes that in the future I might have a cure for her disease once I finish a few more of the Doctor’s missions. That’s not a lot more clear, but for now it’s the only thing we got. We hope to share some news with you soon.